Every business with a web page should consider search engine optimisation to get their site rank as high as possible on popular search engines. This is a simple part of a growth strategy and needs careful planning. Generating more traffic to a site and increasing its appearance in search results is now possible thanks to SEO. Here are some basic SEO tips for your website and a few steps you can take to increase search engine rankings. Some of the most important elements for SEO happen on the actual pages of a website. You may hear a lot about link building, but without effective on-site optimisation, this strategy is not going to work. The homepage is the first landing page for any online visitor and therefore, it should be fully optimised with the right keywords. Before you get started in your internet marketing mission, there are some basic rules to learn about on-site optimisation. The first one to keep in mind when you follow search engine optimisation elements is not to overdo it. An SEO company will be up-to-date with the latest algorithm tolerances, but being cautious in your use of specific phrases is a good startimng point. You may be tempted to use lots of keywords on your pages, but that is not the ultimate goal. Google will penalise you with a Panda penalty so it is best to keep it simple. Just think of up to four or five keywords or phrases for each of the pages and focus on optimising for them. Meta descriptions play important roles in giving search engines a bit more insight into what the homepage is all about. In fact, meta descriptions have proven highly useful for keyword rankings. For these to show up in search results, make sure you include the main keywords on the page. Aside from meta descriptions and title tags, there are also other important SEO elements. Internal links or link building is not just reserved for external websites that link to yours. You can help search engines such as Google learn more about the web page you have created by internally linking it to other pages. Header tags are also effective strategies that most online marketers use nowadays. One such example is this blog post with HTML header tags that help break the paragraphs into sections. This allows search engines to know more about what each paragraph is all about. There can also be tags around subheadings to help readers digest the content easier. ALT tags and image names are optional elements that can be used on websites. If you opt for these, make sure you think of strong keywords for both the image and the ALT tag. The goal is to optimise the keywords as effectively as possible. This helps Google and the other popular search engines find the relevant images based on the specified keywords. If you prefer using bolded text instead, you should not overdo this. Using occasional bolding on a text selection to grab the attention of the reader will help search engines distinguish the highlighted information and keywords in the content. It is also essential to keep track of your search engine optimisation progress by assessing the results often. Google Analytics helps you monitor organic search traffic sources by setting up goals. This element allows online visitors to sign up for a mailing list or buy the product you are offering. You can then target a niche market through choosing the right keywords. Adding a site map makes it simpler for searchers to find your site. Keep in mind that the fewer clicks you get on your page, the better. You may also opt to use flash. But make sure you don’t overuse it for best results. 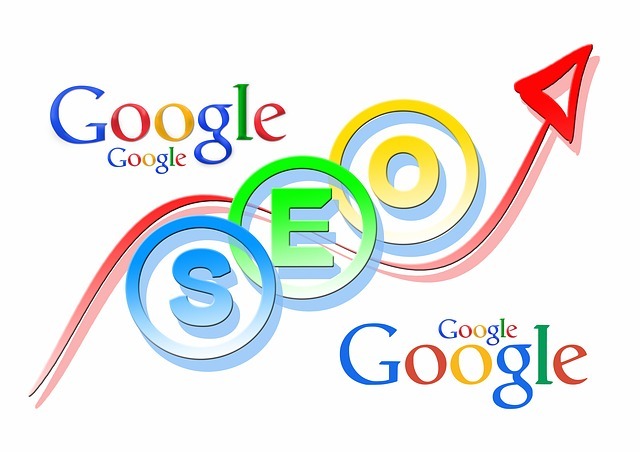 Your ultimate goal is to dominate search engines. By using their social network, you will rank better and get people to connect with you. For instance, when you are logged in to Google and search for a specific keyword, you will get to see the relevant websites on top of the page. As long as you follow the above tips in search engine optimisation, you can start generating lots of traffic to the targeted site and create a steady income. There are of course many more tips that you can get from the web.